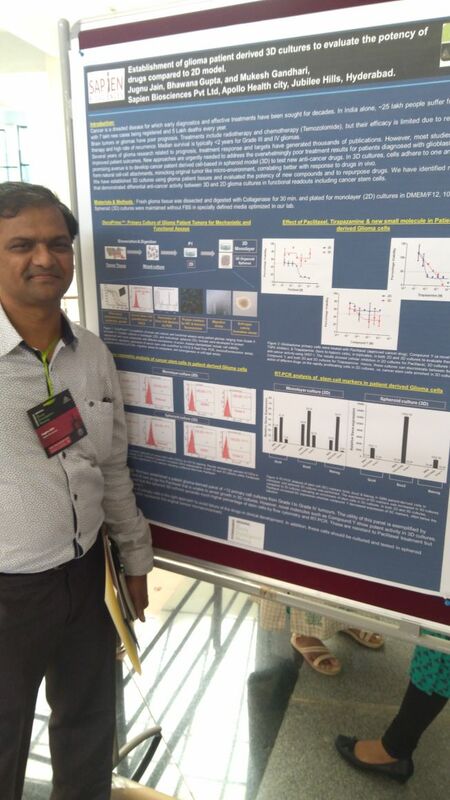 Attended Regional Young investigator meeting, Hyderabad (18th – 19th August, 2018) at University of Hyderabad. Sapien Biosciences presented importance of primary human patient cultures, especially spheroid (3D) for drug testing in Glioblastoma multiforme. We have identified molecules that demonstrated differential anti-cancer activity between 2D and 3D cultures in functional readouts including cancer stem cells.